Fiction Donuts is a local donut shop with a book-lover theme. The shop has an assorted variety of donuts made hot and fresh each day. Unique flavors include original cake, Earl Grey, Chocolate Frosted, Raspberry Rose, Lemon Curd, Chai Sugar, and more. The shop also has gluten-free options for people with dietary restrictions. Order single donuts, 1/2 dozen, or a dozen. The wall of the restaurant is decorated with a bookshelf mural featuring popular books submitted by customers themselves. The gift cards look like library slips, and other merchandise including t-shirts and hats with the Fiction Donuts logo is available. 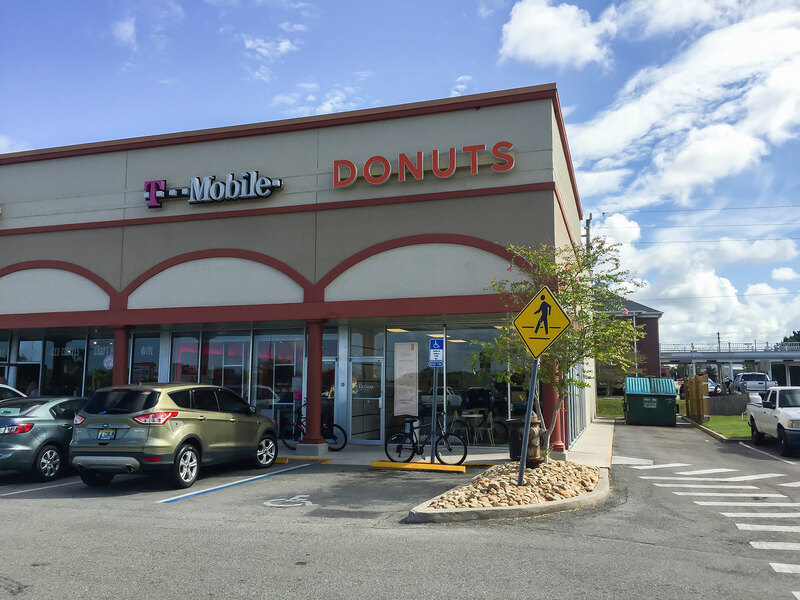 Fiction Donuts is located on US 1 at the Seabridge Square shopping plaza in the upper far left corner between Kookaburra and Nettle's Jewelry. Be the first to Review Fiction Donuts!